Introducing Lookfly's New Look - Lookfly & VC Ultimate Europe Ltd.
It’s said that change is the only constant in life, and so it goes for Lookfly, too! We heard you, our community, in our recent survey. We agreed that it was time to refresh our brand, to create a more robust product line, to launch more Lookfly-branded designs, and to improve our website and ordering systems. Our first task, updating our logo, was daunting but we're ecstatic with the results! It’s important to us that our logo represents where our brand stands, both philosophically and geographically. Local manufacturing has always been important to us, so we worked with a graphic designer based in the northwest of England to help instill the rebrand with echoes of Lookfly’s new home: Liverpool, UK. Our beloved green leaf icon has made way for a simple yet bold feather and a new typographical treatment on our name is now more vibrant and free. We transitioned to the feather as, to us, it symbolises nature, movement, and a lightness of touch that mirrors our environmental consciousness, lightweight technical fabric, and independent, free spirit. The sport of ultimate is flying and we want to take you with us! We wanted to ensure that our branding looks great on your team’s uniforms, but also amazing when you’re wearing our gear off the field. We hope you love our new look as much as we do. 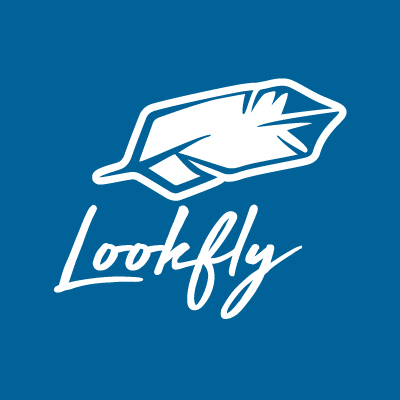 Expect to see it a lot over the coming months as more exciting developments for Lookfly are unveiled. Come and chat with us at tournaments, on Twitter, Facebook or Instagram - we’d love to hear what you think!